Hi everyone, today I am sharing my favorite cucumber raita recipe. 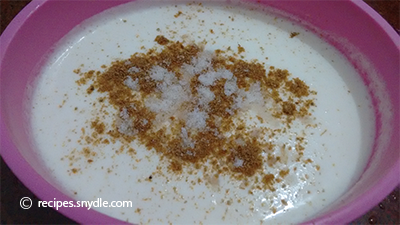 it is an easy, simple and yummy side dish. This side dish is very refreshing as cucumbers are full of water, its helpful to hydrates your body and also it cools your body. Generally people have it in summer but I can Have it in all season. 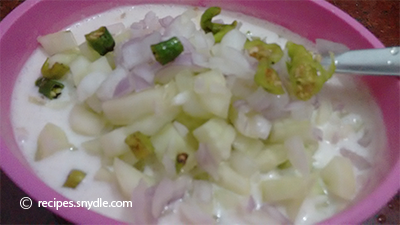 I am big lover of cucumber raita. 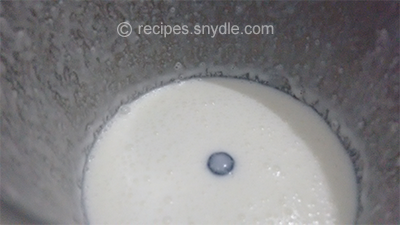 Add curd in a mixer jar and grid it until it became smooth. 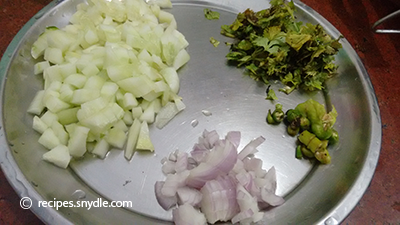 Add cucumber, green chilly and onions in mixer. Mix them well, keep it for 15 minutes.Now Take it out in serving bowl; garnish with coriander leaves and sprinkle some cucumber powder. 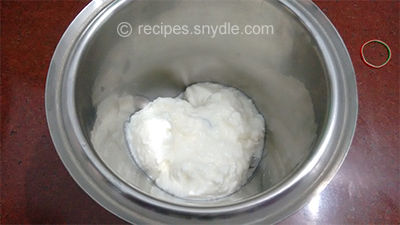 Its ready to serve, you can have it with rice, pilaf, puri, aloo paratha etc. 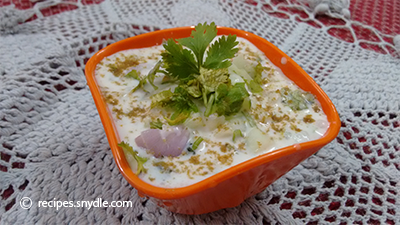 its a side dish which Indian can also have in fasting, but instead of normal salt use Rock Salt also known as sendha nakam.